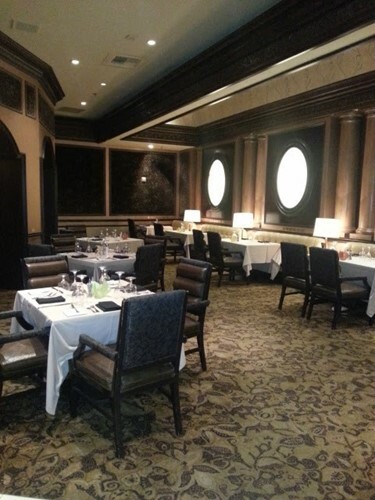 The The Carmel Room is a restaurant inside Rampart Casino Resort at Summerlin in Las Vegas, Nevada. A terrific fine dining experience with no rush involved. Knowledgeable and friendly staff. They make you feel welcome, wanted and like a million bucks when you first walk in. Waiters know the menu and food pairing with wine/alcohol very well. Experience is great from hostess stand to exit of restaurant. Food ok when it finally arrives. Service slow on each of 3 visits. Not up to the caliber it pretends to be. Awesome! Best Steak Ive had in a long time! Phenomenal location for special occasion or intimate date. Fancy without being intimidating. A bit pricey but one definitely gets what they are paying for. Amazing service and atmosphere!